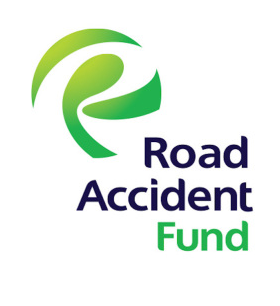 On April 20, 2018 Fin24 published an article headlined “No qualifications recorded for RAF acting CEO - qualifications body”, citing documents from a source which claimed to prove that the South African Qualifications Authority (SAQA) had informed the acting CEO of the Road Accident Fund (RAF), Lindelwa Jabavu, that she did not have a matric certificate, along with other qualifications cited on her CV. The article further claimed that RAF chair Ntuthuko Bhengu flouted due process in the appointment of Jabavu as acting CEO, with a view of allowing “state capture and patronage networks” to take hold at the fund. The issue of Jabavu’s qualifications was first raised at a meeting of Parliament’s portfolio committee on transport, during which Bhengu undertook to have Jabavu’s qualifications verified by SAQA. We wrongfully accused him of misleading Parliament, based on documents and information received from an inside source in good faith. We now have reason to believe that we may have been misled. The RAF and SAQA have both reported the matter to the police, and allege that the documents, which were leaked to Fin24, may have been falsified to portray Jabavu in a bad light. Additionally, SAQA has clarified that the lack of information on Jabavu in their database does not necessarily mean she does not have the qualifications. (See their explanation HERE). According to SAQA, the RAF has not yet requested verification of her qualifications, for which it requires her consent. We immediately disabled the offending article and published a follow-up article, reporting on the suspected fraud. Fin24 further erred in publishing the article without allowing appropriate time for the RAF, Bhengu, Jabavu and the SAQA to reply. Fin24 acknowledges that we should have done more to check the integrity of the source and the documents. We apologise unreservedly to Bhengu, Jabavu, SAQA and the RAF for publishing these claims, without performing the necessary verification or allowing appropriate time for comment as required by the Press Code of South Africa. We have no reason to believe that Bhengu misled Parliament or was allowing state capture and a patronage network to take charge of the RAF. Similarly, we have no reason to believe that Jabavu did not obtain the qualifications listed on her CV.